Everything you needed to know about one of the world’s most successful automotive brands. With Charlottesville neo-Nazis putting Hitler’s hateful ideals back into the main stream of consciousness, maybe it’s time we revisit what could be the only positive thing that angry man with a weird mustache and metal problems gave the world: Porsche. Okay, so maybe Hitler didn't directly ask Ferdinand Porsche to build him a 911, but the story does begin with Germany’s leader asking the company founder to build vehicles for the German military during World War II. After Ferdinand went to jail for war crimes, his son took over the company and began to build the iconic 356, the successor to the 911. 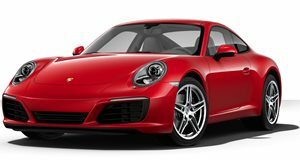 Interestingly enough, the 911 was originally going to be called the 901 and 82 copies of the rear-engine sports car with 901 badges were built. Peugeot later told Porsche it couldn't use the name because owned the rights to three-number model names with zeros in the middle. Given that Porsche already had badges of the number 1 for the 901 name, it just decided to use two 1s and the 911 name was born. Nobody at the German automaker has looked back since. In fact, it seems that the automaker has consistently kept its sights on the future, being the first automaker to make a hybrid vehicle and also the first to send a car to the US with the passenger airbag as standard. These, along with other interesting knick-knacks, go to show that excellence in the automotive world is a pursuit that takes generations.